Indie Retro News: ShipLord - Survival Asteroid dodger gets Steam Greenlit! ShipLord - Survival Asteroid dodger gets Steam Greenlit! What a very positive week this has been for a multitude of developers, as another Steam Greenlight success has appeared in the form of a survival game based sci-fi called ' ShipLord ', by Just1337. Currently in development for PC, MAC & Linux with a release date of soon, ShipLord has asteroid dodging mechanics and energy collection, combined with interactive boss fights. 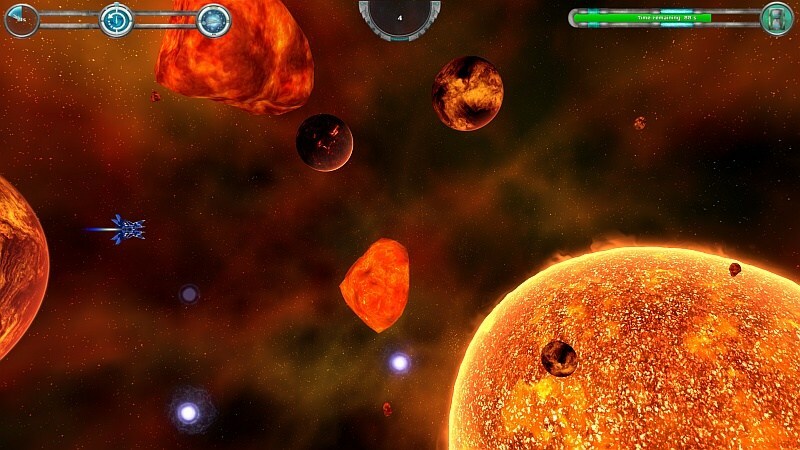 The main goal of the game is to survive a specific period of time, collect as much energy as possible, so you can progress further into the vast and fully unique space. Other than featuring unique boss fights, rewards, abilities, upgrades and unlockables, the developer has told us, what makes their game so special are detailed graphics, extremely unique but fun boss fights, bug free and all wrapped up with a nice story to give it some flow. So it will be interesting to see if the developers can really push out what comes across as a cool game to play!